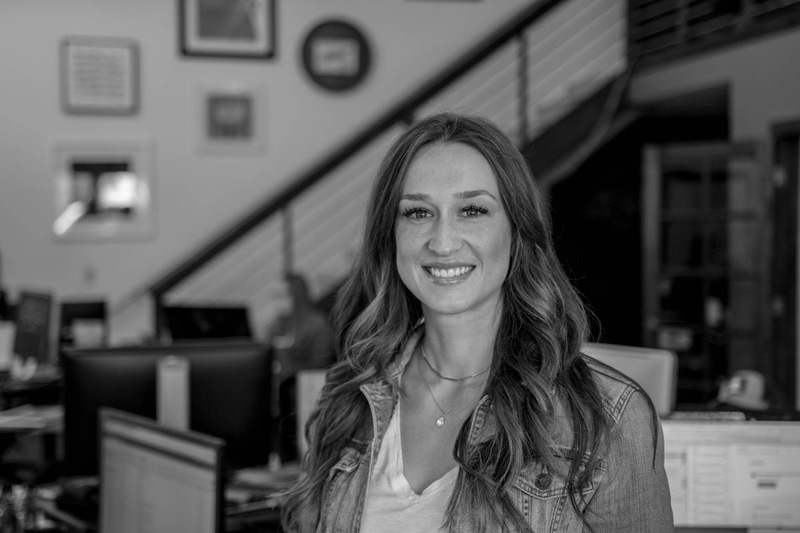 We get a lot of cool opportunities working with a wide variety of projects and clients here at Prime. You name it; we have probably done it to some extent (in dealing with matters of design and marketing, of course). When we were presented with something as awesome as naming and branding a brand-spanking new product before it launched, we jumped at the opportunity! What can I say, Christmas came early for us last year. Not only are these kinds of projects my favorite, but we got to see it develop from concept to completion in just a few months. Here's our project profile on the DetoxAir branding and package design. So what is this super awesome product, you ask? Great question! 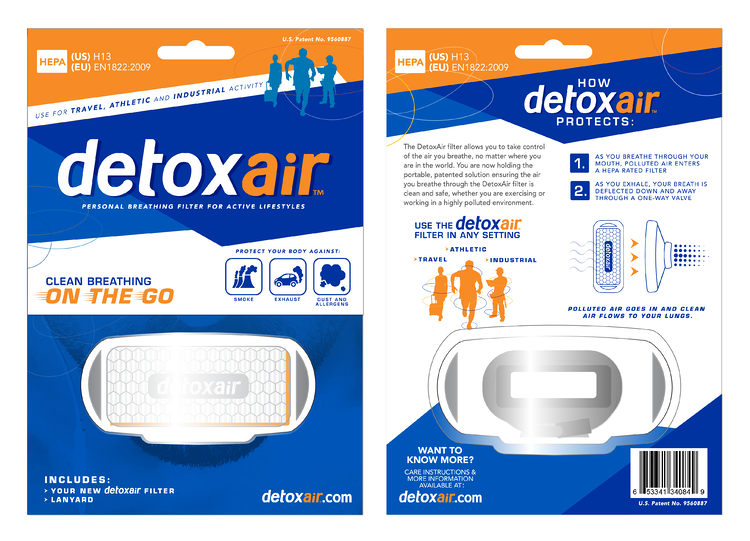 The DetoxAir filter is a personal breathing filter designed to deliver fresh air to your lungs in any setting. With its compact design and removable lanyard, this thing can travel with you anywhere. Whether you are exercising, working in places with harmful fumes, or traveling to regions with heavy air pollution, the HEPA rated filter can protect you from 99.97% of the polluted air you inhale. We dove head first into this project, first collecting research on similar products, collaborating on a name and developing the brand. Because the timeline was a short one, we developed the logo and packaging concepts at the same time. Witnessing the variation of our ideas evolve into a final product was especially satisfying. Important decisions were having to be made quickly, and even though it was a bit of a whirlwind, the client received a brand they loved. When it came time to put the packaging into production, it helped to have an amazing collaboration with Salient Technologies, the company who handled the actual product design. They helped us to streamline the communication process with the manufacturing facility in China and were a great resource for when it came to planning our launch strategy. Other than getting to work with these amazing clients, my favorite aspect of this project was collaborating with Dan Armstrong on the photoshoot. We scoped local locations for the backdrop that depicted the urban areas where our target demographic is located, gathered some local models and made it happen! The photos turned out great and it was a fun experience! The DetoxAir team recently jetted to Las Vegas where they participated in the Travel Goods Showcase. We had the opportunity design their entire trade show experience from the environmental aesthetics all the way down to the clothing and print collateral. More and more wonderful opportunities continue to come our way with this client and having launched the product less than a month ago, we see great potential for the future success of the DetoxAir filter as well as a continued partnership. So You Have A Brand Positioning Statement Now What?